First miss kanwar got some water in a bowl and she got two mirror and miss kanwar got out her phone and turned on her light on her phone and the light shines on the mirror and the mirror refracted to the ceiling and it has different colours when the mirror shines of the ceiling. Being responsible on the deck…. So i think i’ll be nine now and everyday. Malo e lelei pea malo étau maú e áho ni, ko hoku hingoa ko Sofaia Litia Fualalo ko eku Ogomatua ko Sione uhila Fualalo mo Hola Ki hihifo fualalo. Ko emau hau mei ha’apai mei foa, lofanga,moungaone nofo ova i kolofoou. Oku i ai hoku ngaahi tuongaane e 7 mo hoku tokoua e 2 koe áho sapate oku mau alu ki he lotu mo e lautohi fakasapate , oku ou Kalasi 2 ko eku faiako ko mohokoi mo katoone í he ako óku ou kalasi 4 ko éku faiako í lokiako ko monika kanwar óku ou fakaámu keu poto í he lea fakatonga í ápi mo ha feituú pe teu í ai, óku ou polepole í hoku tonga . malo áupito hoómou mea mai ó fie fanongo ki heéku kií talanoa ófa atu Sofaia Fualalo (2017). First put the recycling materials into a blue top bin. Secondly the Recycling truck comes and picks up the recycling bin and goes to the visy company. Thirdly it is send to the visy company it goes to this huge dump of rubbish that people put in there recycling bin. Fourthly this small truck comes to pick up the rubbish and then it goes to this machine and people check the rubbish if they need recycling but if it is not good to recycling like clothes,nappies and fabric and throws it to the ground. Fifthly the rubbish that needs to be reused goes to this machine and this computer controls it to see if it see if it is write or wrong. Sixthly it goes to this machine and sorts out and it is like putting glass in there place and paper in there place and cardboard in there place and other materials in their place. 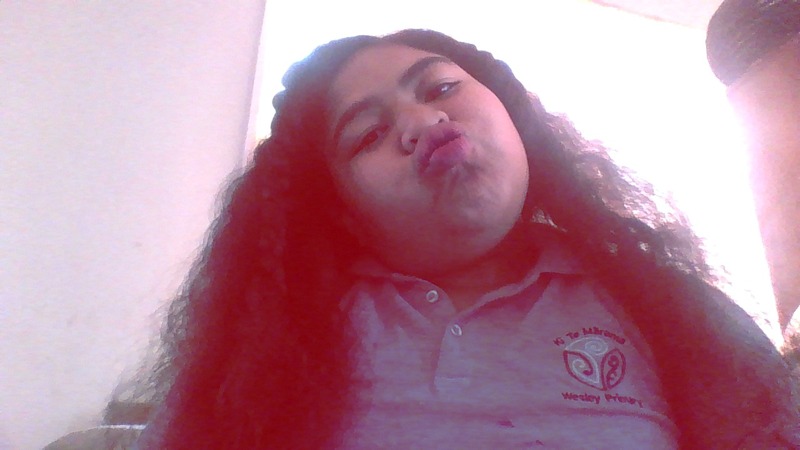 Hello my name is Sofaia from Wesley primary school and this is my first time blog posting before. Today we were learning to post something good on our blog and we could post anything of our learning on our blog.